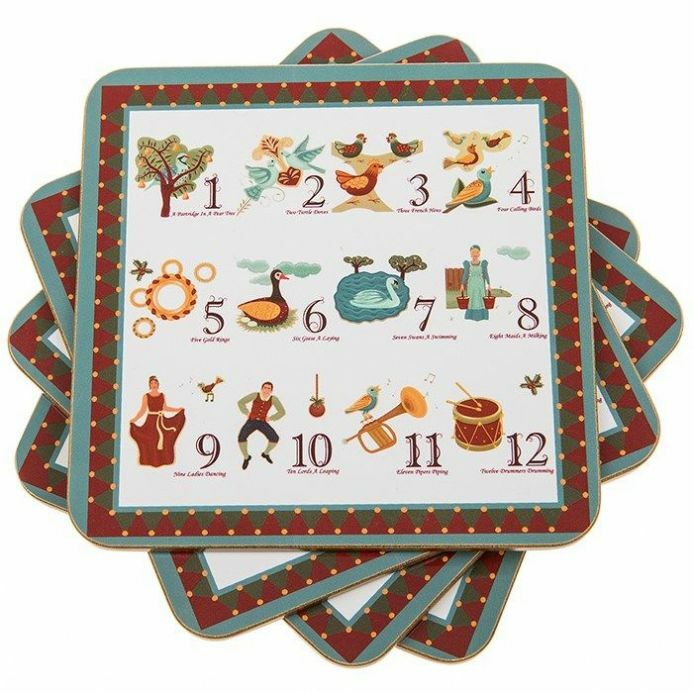 A quality gift is this 12 Days of Christmas Set of 4 Coasters. Perfect Christmas Gift. From the Leonardo Collection. 12 Days of Christmas Set of 4 Coasters. From the popular Leonardo Collection.